The way the first week of Lent was observed in pre-revolutionary Russia was that most business was shut down for the week, schools were in recess, and everyone went to Church. When the full cycle of services during the first week are observed, you spend about 10 hours a day in Church. Unfortunately, we do not live in such a culture, and so in our parish we currently only do services in the evenings of the First Week of Lent. However given that some people drive great distances to come to Church, Houston traffic and secular obligations can make it practically impossible for some to attend even these services. On the first four days of Great Lent, we do Great Compline with the Great Canon of St. Andrew of Crete, which on these days is divided into four parts which are done on each of these four days respectively. Question: "What is the role of the Parish Priest as Spiritual Father to his people and how does it compare with the role of the Abbot and monks in the Monasteries?" 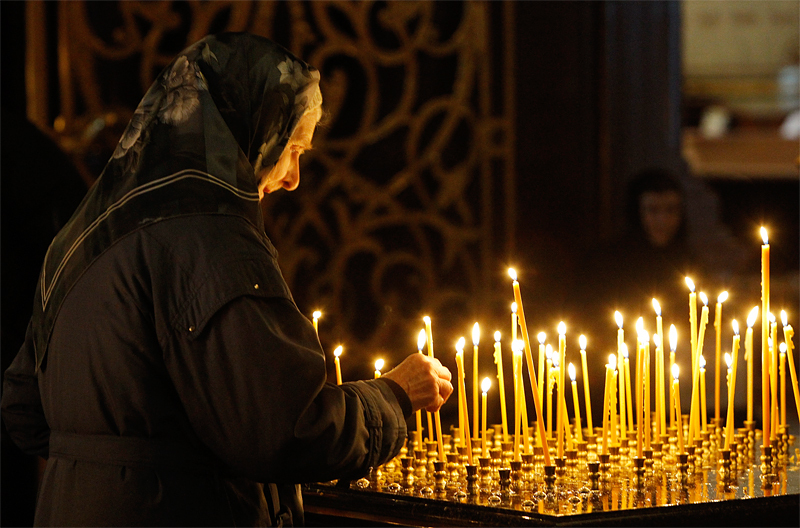 The term "Spiritual Father" (in Russian "dukhovnik" (духовник)), has a range of meaning that has to be properly understood for this question to be answered. At the lowest level, one could speak very loosely of a priest that they regularly confess to as their spiritual father. But more properly, a spiritual father is one that you have an ongoing spiritual relationship. The difference is somewhat subtle, but a person might regularly confess to one priest for a period of time, but then switch confessors, and begin confessing to another priest. But when you develop a relationship with a priest that you maintain over a long period of time, and often when separated by distance, that is more a spiritual father/child relationship. A spiritual father does not necessarily need to be a priest, but of course only a priest or bishop can hear confessions and grant absolution. 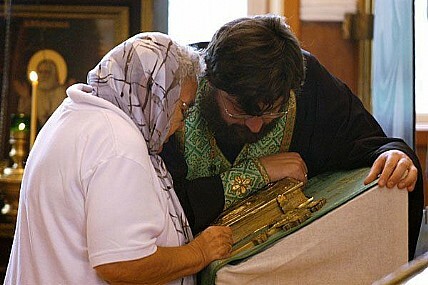 Sometimes people have a monk, or even a nun who fulfills the role of long term spiritual direction. However, for laity, one's spiritual father is usually (though not necessarily) their parish priest. The highest sense in which the term is used would be in reference to someone who has the spiritual gift of eldership... but this a fairly rare gift, and one should be extremely cautious about searching out such a relationship, because there are more people who think they are spiritual elders than there are those who actually have that gift. The difference between the relationship between a parish priest and an abbot in a monastery is primarily the question of obedience. A monk is expected to be completely obedient to their Abbott, short of the abbot asking him to do something immoral or contrary to the teachings of the Church. An abbot can have such a relationship because an abbot is also responsible for the monks under their authority. They ensure that the monks have a place to stay, and food to eat. In that context, this level of obedience has an important role in the spiritual development of a monk. It is completely improper for a parish priest to expect that kind of obedience from a laymen, because he has does not have the same level of responsibility for his parishioners. In other words, if a parish priest were to tell a man to quit his job, the parish priest is not going to ensure that his bills are paid, or that his wife will not divorce him because he is failing to provide for the family. Consequently, what priests generally express to their people in confession is on the level of advice, which they can take or leave -- because they are ultimately responsible for their own choices. Of course one should not dismiss advice from their confessor lightly, but it is simply a fact that different priests will give advice that will differ in some respects, and so it should not be taken as if it was delivered to Moses on Mount Sinai... unless of course it actually was, because the priest is simply conveying what Scripture or Tradition clearly teach. If a person confesses that they are involved in a serious sin, and the priest tells them that they must repent and cease from that sin, or else he will have to deny them communion, this is not mere advice, and the individual has no right to ignore what they are told. It is not inappropriate for a laymen to have a monastic as his spiritual father, but this should also be approached with caution. Sometimes such monastics try to impose a monastic style of obedience, and this has often had disastrous results. "As part of our pastoral discussions we talked about the need for parishioners to confess as a rule to their own parish priests, and only with a specific blessing to confess to other priests. This is especially important given the propensity for some clerics outside the Russian Church to employ the canons as a cold rule of law rather than as a pastoral guideline applied with love. This has led in some instances to parishioners being given lengthy penances of excommunication for sins that have been confessed previously with little or no penance from their own parish priest. Further, we strongly call upon our flock to confess on Saturday evenings or eves of feasts, and only to confess on Sunday mornings or feast days before the Divine Liturgy in extreme circumstances." And so if a parishioner wishes to have a spiritual father other than their parish priest, they should get a blessing to do so, and this is for their own protection. For more information on this subject, I would recommend Metropolitan Anthony (Khapovitsky)'s book on Confession, which we have in the bookstore, and which also available online. Stump the Priest: Spanking Children? Question: "Some have argued that the verses in Proverbs regarding corporal punishment are referring to the punishment of adults and not to children. Can you clarify?" The word translated as "child" these verses is na‛ar (נער), which means "boy" and is used with reference to boys from the age of infancy to adolescence. I doubt very much that any reputable commentary has ever been written that would seriously argue that this refers to an adult rather than to a child. Question 1: "Should a house be blessed every year?" Question 2: "What should a family do to prepare for a house blessing and what should they expect?" There are two types of house blessings: The blessing of a new home, and the blessing of a home at Theophany. The blessing of a new home is done only once, and is a more elaborate service. A table is needed, which should ideally be covered with a nice cloth, on which the priest will place the Book of the Gospels, the Cross, four lit candles, Holy Water, a hand censer, and a small bowl or cup of olive oil. Ideally this table would be in front of, or very near, the family Icon corner. Other priests may handle this differently, but what I would like the family to have in such cases are a bowl the holy water, and a small bowl or cup with olive oil; and either four candle stands or four small saucers, on which the candles can be placed. 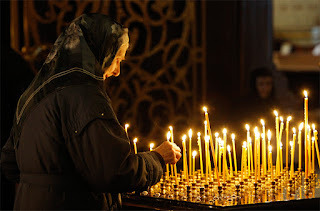 I bring the Gospel, the Cross, the hand censer, and the Holy Water, and usually have candles with me, if the family doesn't have four candles that are suitable. During the course of the blessing of a new home, the olive oil is blessed and a small Cross is made with it on the four sides of the home. The four candles are placed below the Crosses, after each one is made. Then the house is sprinkled with Holy Water, at which time a member of the family (usually the head of the house) leads the priest around the house with a candle in his or her hand, going through all the rooms of the home in as much of a circle as possible, and ending back at the same place the service began. Then there is a Gospel reading, and then the house is censed, and again a member of the family should lead the priest around the house for that purpose, just as with the blessing of Holy Water. Then, after a litany, there is a dismissal, followed by the singing of "Many Years," and everyone in the family kisses the Cross. You can find the text for this service, in Word format, by clicking here. The blessing of a home at Theophany is done each year on or after the feast of Theophany, but before the beginning of Lent. All that the family needs to have ready is a candle and a bowl for the Holy Water, which should be placed on a table, which would ideally be in front of the family Icon corner. You should also make out a list of both the living and the dead that you would like to have commemorated, which should include all the members of the family. The family commemoration book used at the Liturgy can be used for this purpose. The service begins with the usual opening prayers ("Blessed is our God... the Trisagion, etc), followed by the singing of the Troparion of Theophany. When we begin singing the Troparion, this is when the priest begins blessing the house with Holy Water, and so a family member with a candle in hand should lead him around the home, going through all the rooms of the home, making as much of a circle as possible, and ending back at the same place the service began. Then there is short litany, a prayer, the dismissal, and the singing of "Many Years." Everyone then kisses the Cross and is blessed with Holy Water. If you would like the priest to stay for dinner, you should discuss that ahead of time, so that the scheduling of other house blessings allows for it. If there are several homes close together, it is nice to bless them all relatively quickly, and then for everyone to get together at one of those homes for a time of fellowship. However, all of this is up to each family. The reason why we bless homes each year at Theophany is because all of creation is blessed and renewed at Theophany, and this blessing and renewal is brought to each home, every year. 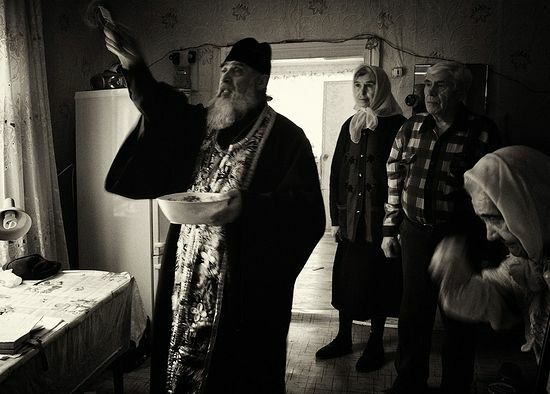 Every Orthodox home is a little Church. We have communal prayers in our parish Church, but we all should also have a life or prayer in the home. Once each year, the Priest comes to each little Church in the parish, and leads the family in this service of blessing.